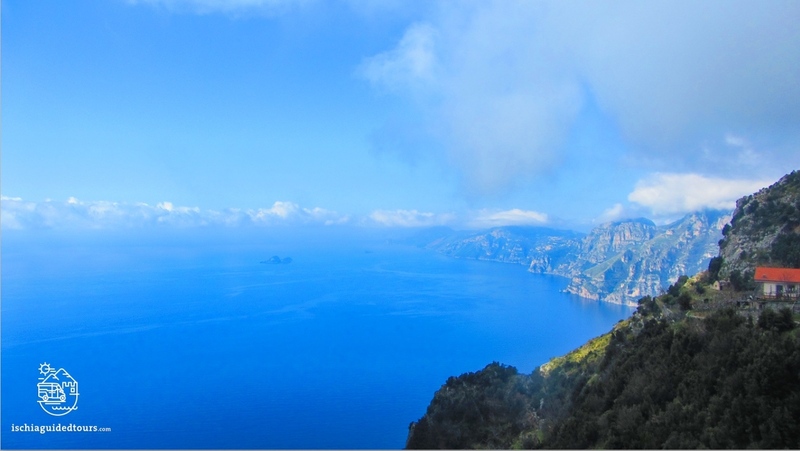 The path of the Gods (Sentiero degli Dei) is one of the most stunning treks in Itay, a walk suspended between sky and sea, across an ancient mule track overlooking the Amalfi coast. 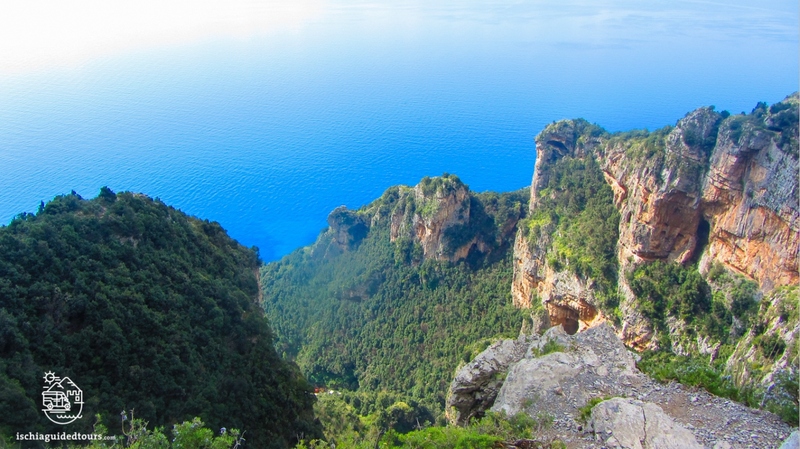 This trek offers breathtaking views (it is not by chance that it was called “Path of the Gods”!) 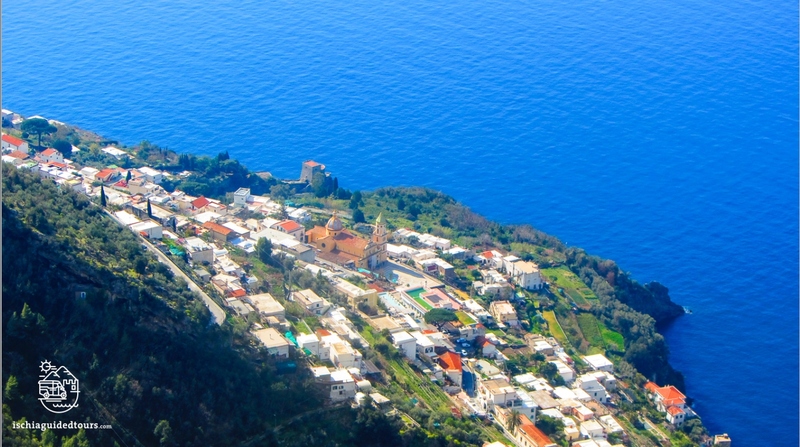 over valleys, vineyards, ruins of ancient farmhouses, the clear blue sea with Capri, Li Galli islands, Positano, Praiano and Punta Campanella in the background. 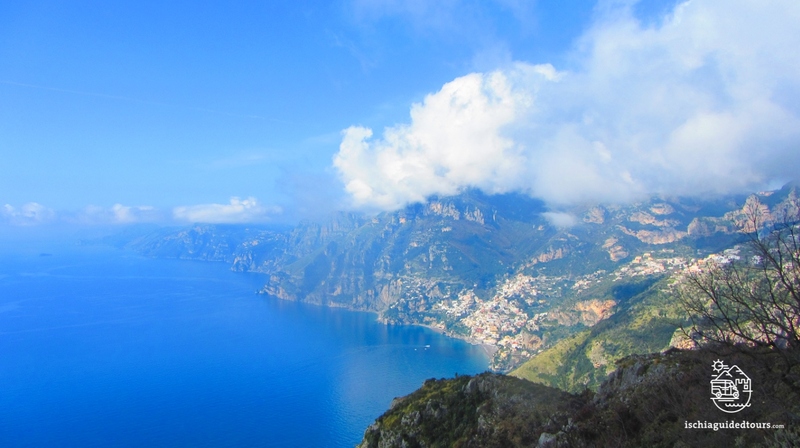 There are several trails, going from the west to east or from the east to the west side of the Amalfi coast. 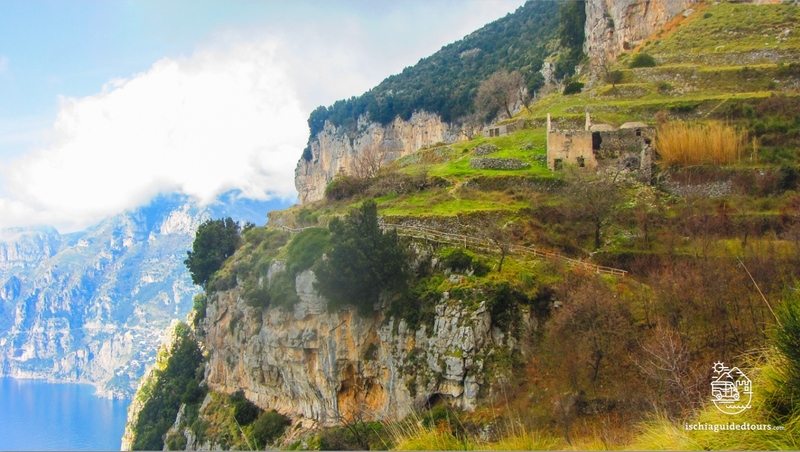 The most popular trail, and the one offically known as “Sentiero degli Dei”, goes from east to west, starting from the heart of the Lattari mountains in the small village of Bomerano (in the town of Agerola) and ending in the village of Nocelle (near Positano). 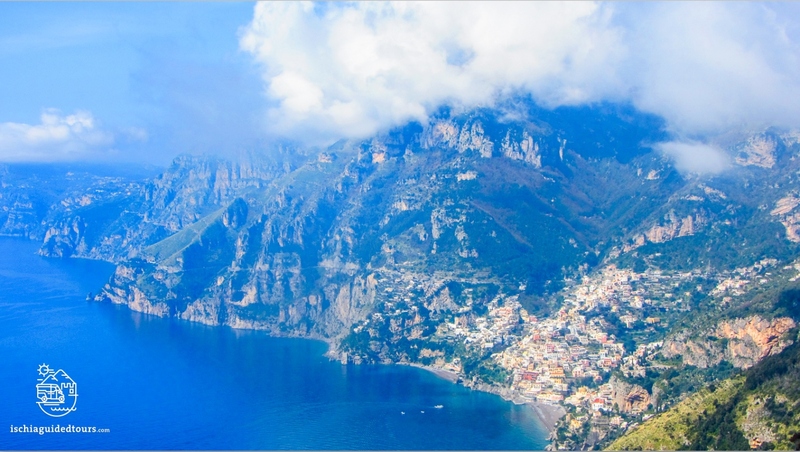 The path is about 8 kms long and it reaches a height of about 600 mts above sea level. The trek is quite intense and it requires a good level of fitness. 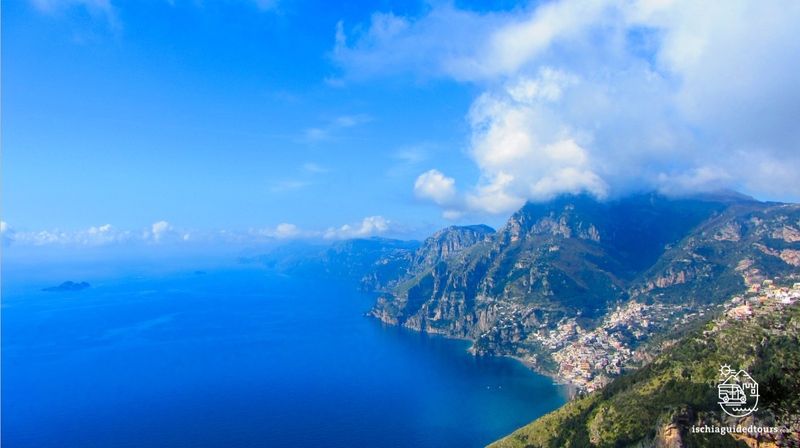 It is not recommended to people suffering from a fear of heights. 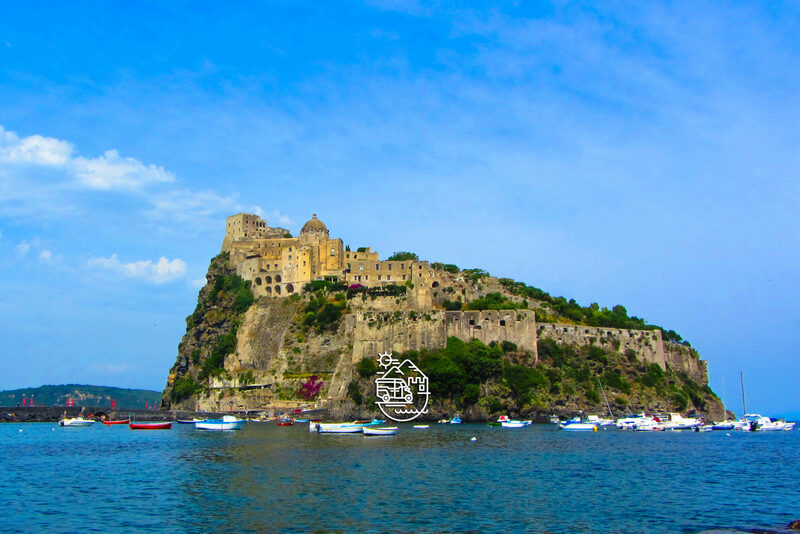 We depart at 06:30 am by hydrofoil from Ischia to Naples and reach the starting point of the trek near Agerola by public bus at about 10:00 am. The trek lasts around 4 hours, it is recommended to take water and food/snacks as there are no refreshment points along the trek. 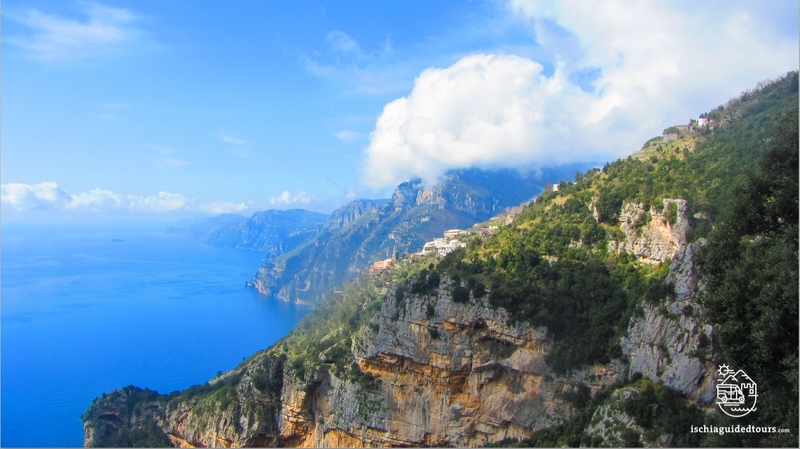 We finish our trek in Positano in the afternoon where we can stop to visit the centre of the town. 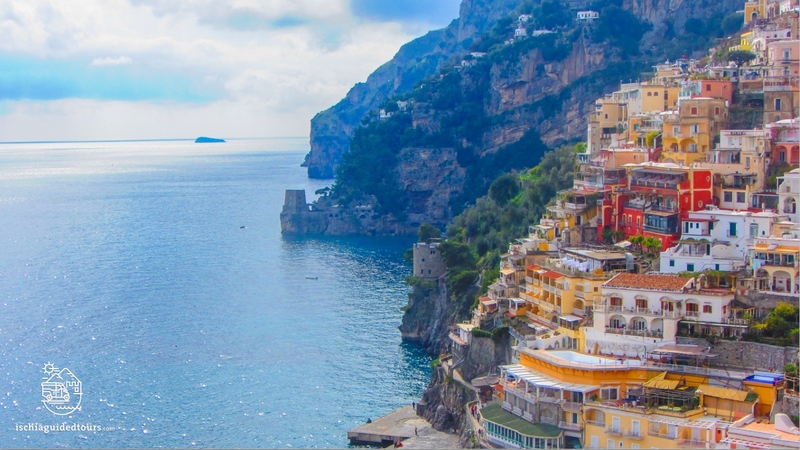 From Positano we return to Naples port by private taxi and take the ferry back to Ischia (estimated time of arrival in Ischia around 20:00/21:00). 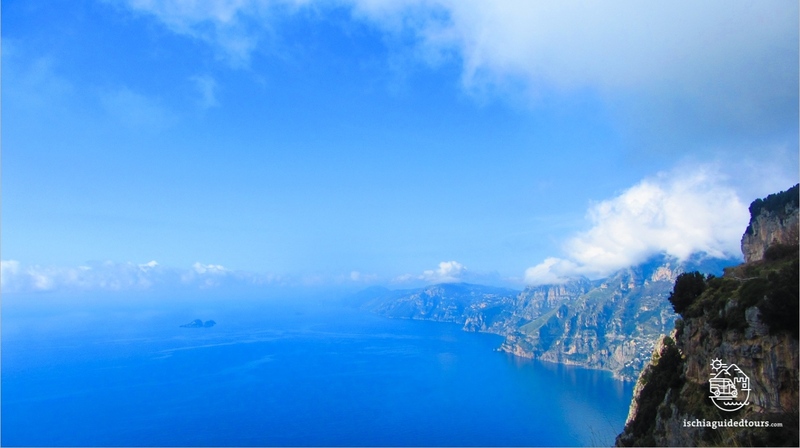 The itinerary of the tour may change due to unpredictable factors such as bad weather or traffic.